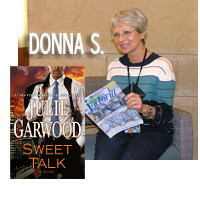 If you have not read a novel by best-selling author Julie Garwood, you should give Sweet Talk a try. Irresistible romantic suspense dealing with a failed FBI sting, a Ponzi scheme, family conflicts, illness, and greed. Prepare for dazzling romance, plus the good guys win.